Every state requires at least one spouse to file a petition for dissolution of marriage in the local county court where he is resident. The petition is the formal request to the court for a divorce and is the beginning of the legal divorce process. The petition must then be served on the other spouse. The petition includes information about the reason for the divorce, contact information for both spouses, and the terms the petitioning spouse is asking for: for example, requests for alimony or child support. Once both spouses have agreed to the terms of the divorce, a settlement agreement will usually be drawn up. In an uncontested divorce this may be done before or just after the petition is filed. In a contested divorce, the settlement agreement may be drawn up during negotiations or following the trial. The settlement agreement is a document setting out the terms of the divorce settlement: for example, child custody agreements and division of property. Both spouses in a divorce must submit documents setting out their finances. These are particularly important in a contested divorce, as the judge may use these documents to form the basis of his judgment for a settlement. Financial disclosure forms may include copies of tax returns for the previous three to five years, a financial affidavit that sets out sources of income and expenses and information on debts, bank accounts and property. 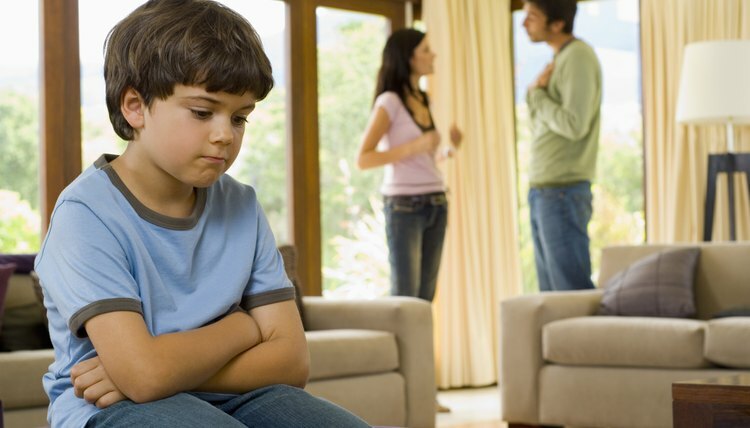 If minor children are involved in the divorce, the court will require documents setting out details of the child custody and support arrangements. Each state has different requirements for this. For example, in Washington State, parents must sign a “parenting plan” that sets out how the parents will make decision regarding the child, how custody and visitation will be organized, and guidelines for how the child will be brought up. Other states may require parents to sign an agreement promising to adhere to certain types of behavior, such as not arguing in front of the child.